Lens Description: An ideal lens for portraiture, the GF 110mm f/2 R LM WR from Fujifilm is a short telephoto, 87mm-equivalent prime for the G-mount GFX camera system. Its bright f/2 maximum aperture affords extensive control over depth of field for working with selective focus techniques, and also benefits working in low-light conditions. 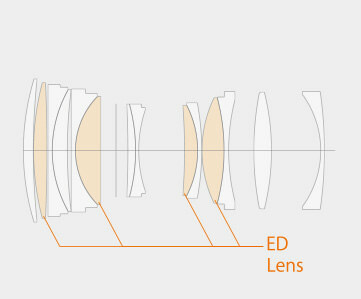 A rounded nine-blade diaphragm also contributes to pleasing bokeh quality to suit shallow depth of field imagery. The sophisticated optical design employs four extra-low dispersion elements to reduce color fringing and chromatic aberrations for a high degree of clarity and contrast. 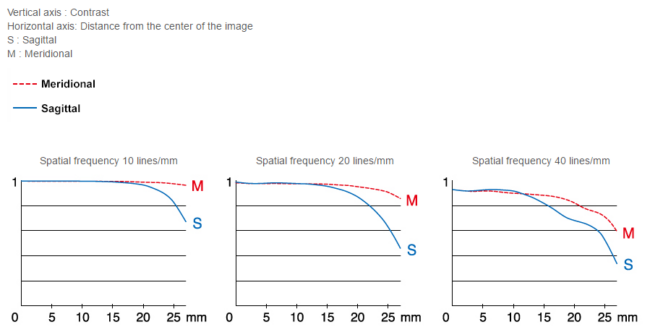 Additionally, benefitting handling the lens is a linear autofocus motor that is both quick and quiet, and an internal focusing mechanism limits the overall lens length during use as well as maintains consistent image quality throughout the focusing range. 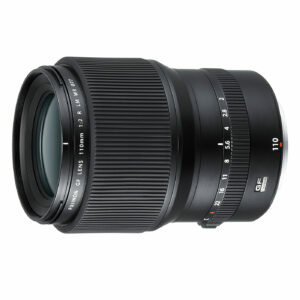 The lens is also dust-, freeze-, and weather-resistant and features a manual aperture ring for intuitive exposure adjustment as well as a Command position for camera-based control over the aperture.